Although your “True Beauty” lies within you, people will never get to know your inner beauty until they meet you and accept you on the outside first. Your beautiful appearance starts with your skin. All the makeup in the world cannot hide skin that is poorly maintained. Proper daily skin care makes a hugh difference in your appearance. You can not only see, but feel the difference when your complexion has a natural radiant glow. Did you know that your skin is the largest living organ of your body? It covers your whole body and protects everything inside. But it is also one of the most neglected and unappreciated parts of the body. The Epidermis (outer layer) Though you can’t see it happening, every minute of the day we lose about 30,000 to 40,000 dead skin cells off the surface of our skin. A substance called Melanin gives skin its color. The darker your skin is, the more melanin you have. But even though melanin is mighty, it can’t shield you from the sun’s UVA rays. Protecting your skin can help prevent skin cancer when you get older. 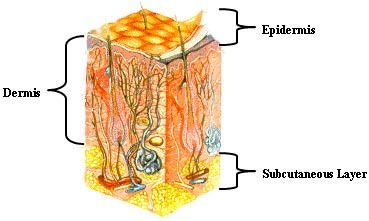 The Dermis (middle layer) You can’t see your dermis because it’s hidden under your epidermis. The dermis contains nerve endings, blood vessels, oil glands, and sweat glands. It also contains collagen and other materials vital to the skin’s strength, its ability to repair itself and fight off infections. The Subcutaneous tissue ( bottom layer) It is the border zone between muscle and bone tissues on one side, and the dermis on the other, serves as insulation, a food reserve and binds the skin to your body. 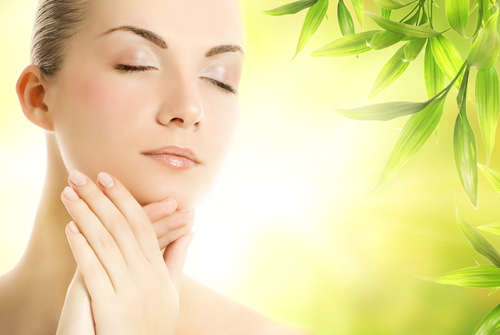 Skin is also the site of the body’s natural production of vitamin D, stimulated by exposure to sunlight. Now that you know the important functions your skin plays in your overall well being how important is it to take care of your skin? Let’s face it, your face is your interaction with the world, so shouldn’t that be one of the most important parts to take care of? Proper daily skin care is essential to your overall health, and beauty. There are basically three skin types: Normal, Dry and Oily or a combination of Dry and Oily. This is important to know in order to use the right products for your specific type. Darker skin tones tend to produce more oil. Fairer skin tends to be dryer, fragile, and is more susceptable to sun damage and skin cancer. Did you know that the ultaviolet rays from the sun cause 90% of all signs of aging? This is why you need to protect your skin (especially your face) when being exposed to the sun for extended periods. Bottom line is if you take good care of your skin it will take good care of you! Are You Attracting or Detracting?